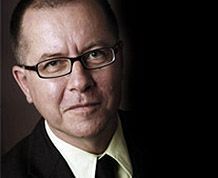 David Court is the founding Head of the AFTRS Centre for Screen Business. David is an experienced industry practitioner who has been involved in the financing of more than a dozen film and television productions (including Strictly Ballroom, The Bank and the IMAX film Antarctica). He was the publisher of the authoritative industry newsletter Entertainment Business Review. David holds a Bachelor of Arts from the University of Tasmania and is working on a PhD in Public Policy program from the Australian National University.